David Weil has been keenly aware of labor issues since he was a boy. Around the dining room table, his family talked about his immigrant grandparents’ experience in the New York garment industry of the early 1900s, when workers rose up to fight abysmal working conditions. They discussed efforts to aid migrant farm workers who tended the fields near the Colorado city where he grew up, from his father’s help running a health clinic to Weil’s volunteer work at a legal services clinic. 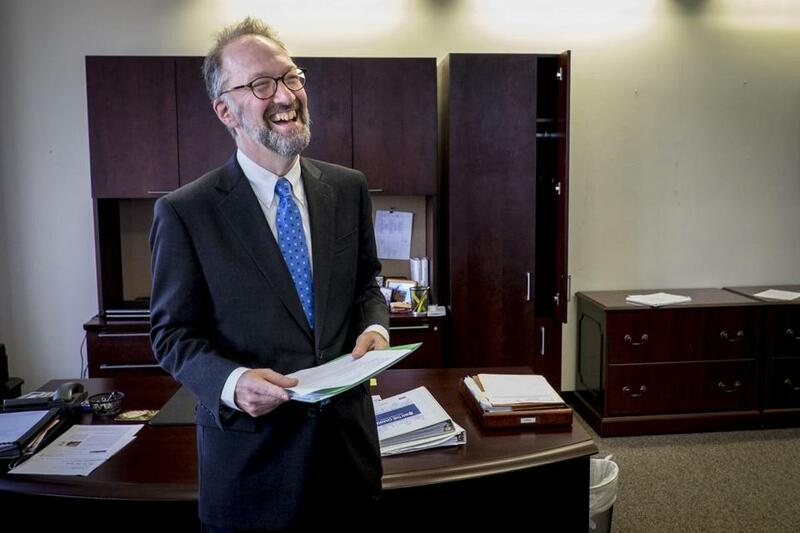 Now Weil, a Boston University economics professor, has taken his interest in the labor market to Washington, where he was recently confirmed as head of the Department of Labor’s Wage and Hour Division — the first permanent administrator in the post after a decade of interim leaders. And he knows the task he’s charged with, enforcing laws such as the federal minimum wage and the 40-hour workweek, won’t be easy. Weil, 53, has studied workplace issues extensively, most recently in his book “The Fissured Workplace,” which examines how the growing number of companies that outsource work has changed the nature of employment. Instead of a direct employer-employee relationship, there is often a network of contractors, subcontractors, or franchisees in between. This has led to greater efficiency and flexibility, which benefits consumers, as well as the bottom line, Weil said. But it can also result in lower wages, diminished benefits, and substandard safety conditions for the workers who make a company’s products and balance its books. In a 2012 study of the fast food and hotel industries, Weil focused on the franchise system, in which some stores are owned by the corporation, such as McDonald’s, while others have separate owners, or franchisees, who pay a fee to operate under the corporation’s name and business model. Weil found that businesses run by franchisees had more wage-and-hour infractions than those operated directly by corporations. Franchisees have less incentive to protect the brand’s reputation and are subject to additional costs from franchise fees, making them more likely to cut corners on pay and overtime to protect profits, he said. Weil stresses that he is not against franchises and subcontractors, many of which do the right thing. Still, he wants to make sure that good businesses are not undercut by unscrupulous ones flouting the law. The answer lies in getting parent companies to ensure that their franchises and subsidiaries comply with labor laws — something he believes can be accomplished under existing regulations. Parent companies specify a lot of what happens on the ground, Weil noted — down to the details of how a jelly doughnut is made or where a sign is hung. So why can’t they be held accountable for how their workers are treated? 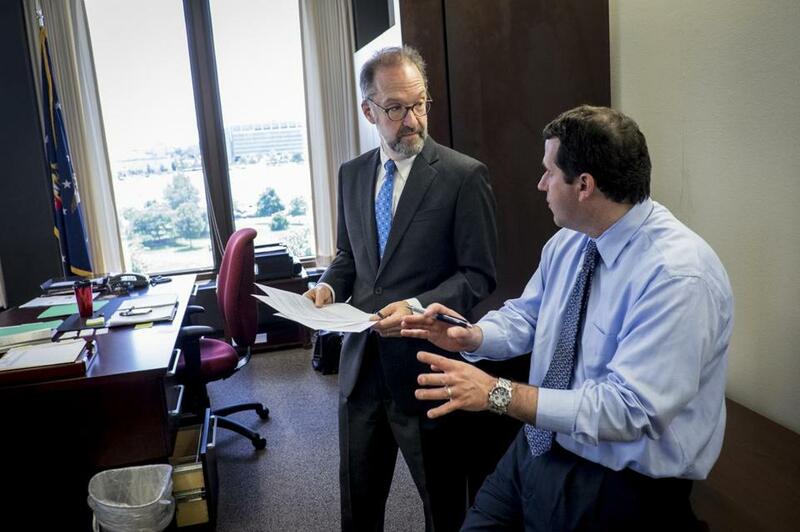 David Weil, here with director of communications Michael Kravitz, faced opposition during his confirmation from Republicans and business groups. “Can you really have it both ways, and specify things at a fine level in one respect, but in regards to compliance with workplace laws, say, ‘Well, they’re not our employees,’ ” Weil said. Not surprisingly, Weil faced high-powered opposition during his confirmation hearings, from Republicans and business groups. Steve Caldeira of the International Franchise Association, a trade group in Washington, called Weil’s views “downright frightening.” There are 825,000 franchise businesses in the country that employ 8.2 million workers, Caldeira said, and clamping down on the industry could drive up costs and stunt growth. Weil grew up in Greeley, Colo., the middle child of a pathologist and a homemaker whose dinner-table discussions instilled a sense of social justice in their children. Weil’s paternal grandfather survived a German concentration camp before escaping to the United States, where he died young and left Weil’s grandmother to support her children by working in a dress shop in Minneapolis. His maternal grandparents, immigrants from Russia and Poland, were garment workers in New York and later opened a candy store. Drawn to their struggles, young Weil taped his grandparents’ stories, preserving tales of dreadful factory conditions and immigrant experiences that he has never forgotten. Weil was smart but bored in school, said his mother, Nancy, and he dropped out before his senior year of high school — with his parents’ blessing. He spent a year in California, working on the loading dock of a department store and doing manual labor for the United Farm Workers. He then earned his general equivalency diploma and enrolled at the University of California Los Angeles, where he met his future wife, Miriam, who was studying geomorphology — the science of land formation. She taught Weil about rock fissures, which spread and deepen over time. Weil said a similar phenomenon occurs in the workplace, with the divisions between employers and employees expanding as more companies farm out work once done in-house. In 1983, the Weils moved to Boston, where he earned a master’s degree and PhD in public policy at Harvard University. Miriam, influenced by her husband’s interest in workplace issues, completed a PhD in work environment policy from the University of Massachusetts Lowell and now works in environmental health and safety at Boston Children’s Hospital. They live in Belmont, where Weil is now a weekend visitor. They have two daughters, Rachel, 25, a grad student at the University of Wisconsin, and Alanna, 22, a recent graduate of Bard College. During his free time, Weil likes to hike and play the cello and the banjo. His morning routine, taking his dog, Djanga, for runs around Fresh Pond, is on hiatus while he’s in Washington. “I don’t think my dog probably forgives me for moving away,” Weil said. Colleagues in Boston’s academic community say Weil is uniquely suited to his new post. He is a creative thinker attuned to innovations that can make government more effective, said Harvard Kennedy School professor Archon Fung. Weil pays attention to partnerships, for instance, in which retailers caught selling goods made under illegal working conditions agree to inspect contractors down the supply chain to make sure they are in compliance, thereby gaining favor with regulators. Weil is also aware that as the natureof work changes, government has to change, too, said Fung, who with Weil and another Kennedy School fellow cofounded the Transparency Policy Project, which aims to improve the disclosure of health inspections, car safety, and other information that protects the public. James Rebitzer, chair of the Markets, Public Policy, and Law Department at Boston University’s School of Management, said Weil has a knack for data, as well as a strong sense of morality.